Do you ever buy books based solely on the covers? I do it all the time. All of these books? I didn't know almost anything about them before I bought them. But I figured they'd all be light-hearted YA romances and added them to my basket on Amazon. And with one exception, they are fun, light-hearted reads. 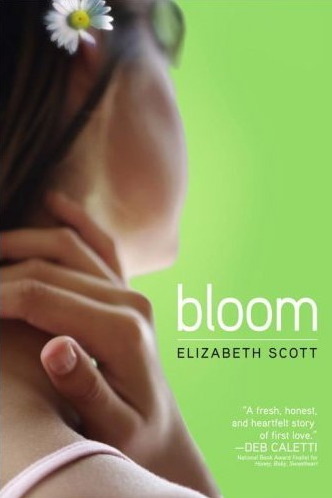 Bloom by Elizabeth Scott - I've always heard really good things about Elizabeth Scott, and Bloom has a very friendly looking cover, doesn't it? The daisy and that green colour, everything about it screams a comforting read to me. And while nothing happens in Bloom that I didn't expect to happen, that's not a bad thing. It's nice sometimes to know the sort of book you're reading, know where it's heading and where it'll end up. Sometimes I need to read a book like that. And Bloom was perfect for it. Put a smile on my face. 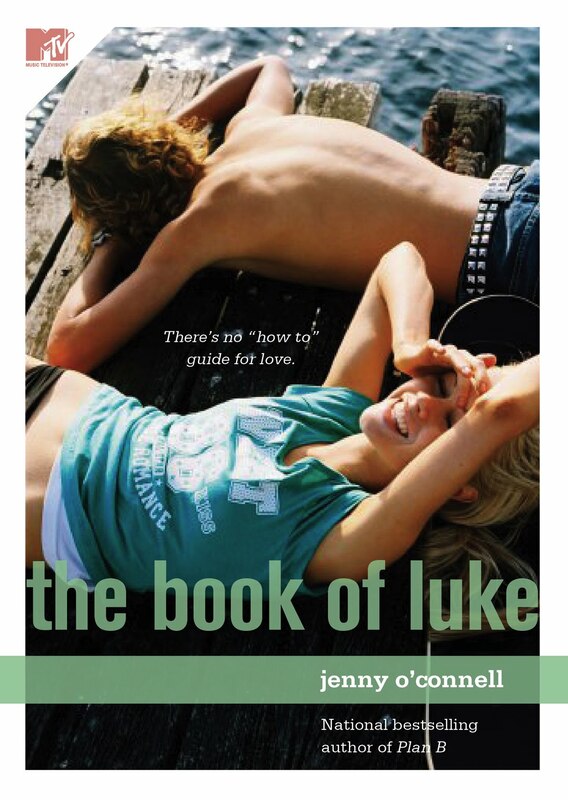 Amazon's blurb: Lauren has a good life: decent grades, great friends, and a boyfriend every girl lusts after. So why is she so unhappy? I don't know about you, but as I'm reading a book, most of the time I have this idea in my head of the characters. Some are more vague than others and some just leap out at me as one person and stays there. And as I was reading Bloom, I kept seeing Griffin from Party of Five (you know? Julia's boyfriend? The one who worked with motorcycles?) as Evan. Another thing to make me smile. I shall be reading more books by Elizabeth Scott. Hopefully sooner rather than later. Sticky Fingers by Niki Burnham - Now, Sticky Fingers is a different matter altogether. This was a real case of judging a book by it's cover. Look at that cover, what does it say to you? To me, it said 'teen romance' and probably more on the steamy side of things. And I didn't know anything else about the book. Perfect girl goes to a party to let her hair down and her life changes. Not big on the details, is it? Blurb from Amazon: Bulletproof, that's how Jenna Kassarian sees herself. It's all about control: As long as she works hard, nothing can hurt her. So Jenna constantly pushes -- for perfect grades, the ideal boyfriend, the best, best friend. The only problem is, she doesn't know if she can stop. If she relaxes even for a second, she's afraid she'll lose control completely. Then Jenna decides it's now or never. She goes to a party and has one drink. But one drink is all it takes for her perfect facade to shatter. Suddenly she realizes straight A's can't protect you in the real world. I don't know. Maybe it seems obvious to someone else, but I didn't expect this book to be an 'issues' book. It would have been fine if I knew that beforehand, but I didn't. The book seems to slowly be building towards something and everything that I thought it would be, it was not it. Anyway. 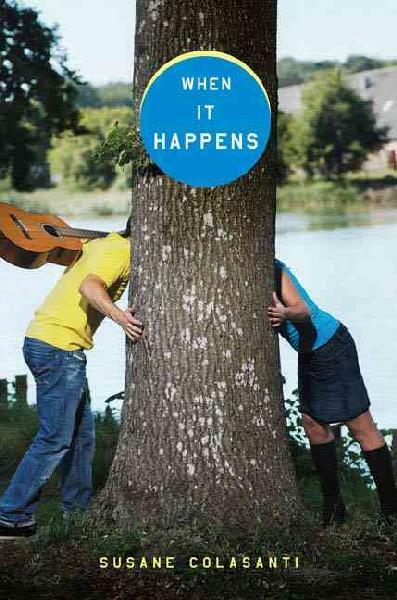 When It Happens by Susane Colasanti - Now, here's a cover that I really love. I love her skirt and it took me forever to realise that he's holding a guitar (how did I miss it? how is it even possible?) but now that I know that, I can't help but notice it everytime I look at the cover. And very much like the guitar on the cover, it didn't really occur to me until 2/3 of the way into that book that everything about When It Happens really has a sort of Say Anything feel to it and that really should have stood out to me before that! Amazon says: Sara and Tobey couldn’t be more different. She is focused on getting into her first-choice college; he wants to win Battle of the Bands. Sara’s other goal is to find true love, so when Dave, a popular jock, asks her out, she’s thrilled. But then there’s Tobey. His amazing blue eyes and quirky wit always creep into her thoughts. It just so happens that one of Tobey’s goals is also to make Sara fall in love with him. Told in alternating points of view, Sara and Tobey’s real connection will have everyone rooting for them from the minute they meet! The only thing is, once the comparison to Say Anything is made, the next logical step is to compare Tobey with Loyd Dobbler, and his fantastic 'I don't want to sell anything, buy anything or process anything' speech. And while the characters in When It Happens are great, they're not quite as charming as Loyd/John Cusack. But it is still a sweet little book. Again, I will definitely be on the look out for more books by Susane Colasanti! Amazon says this: Emily Abbott has always been considered the Girl Most Likely to Be Nice -- but lately being nice hasn't done her any good. Her parents have decided to move the family from Chicago back to their hometown of Boston in the middle of Emily's senior year. Only Emily's first real boyfriend, Sean, is in Chicago, and so is her shot at class valedictorian and early admission to the Ivy League. What's a nice girl to do? Do you see the connection? Nice girl versus heartbreaker? Well, whatever. That's what I kept picturing in my head as I read the book. And to be honest, while I did enjoy it, aspects of the book made me cringe. Perhaps this is a case where I'm just too old for the book and people more in the target teen audience would view some of the tips in Emily's handbook to be less offensive than I did right from the start. I really just wanted to smack Emily quite a lot. And I think I'm meant to feel that way to an extent. Emily really has a lot of growing up to do during the course of the book. Growing up in ways that I didn't need to share with her. That isn't to say that I didn't enjoy the book, I thought Emily had fantastic chemistry and it was a lovely diversion of an afternoon! So there we have it. Do let me know if you've read any of these books. And also, your experiences with judging a book by it's cover! I love all those covers too. In fact, I bought Bloom on the basis of the cover (loved the book). And it's not just you, I've seen that Susanne Colasanti cover dozens of times and didn't notice the guitar until you pointed it out! Blimey - you have been busy. I haven't seen any of these books, but they all look good. I definitely choose books based off their covers!! The cover picture is soooo important-I hope that publishers realize this!! Admittedly, I am a SUCKER for a good book cover. especially photo ones.